Disney Fastpass Secrets: How to Rock the Fastpass System at Disney World. A family vacation to Walt Disney World takes a LOT of planning. Lots of decision making. Lots of booking things in advance. So many things to consider when booking your Disney Trip: Which parks to visit? When to travel? What rides everyone will enjoy most? Where to eat? The decisions can feel overwhelming and the one that can cause the MOST confusion and frustration? The Disney Fastpass+ System. 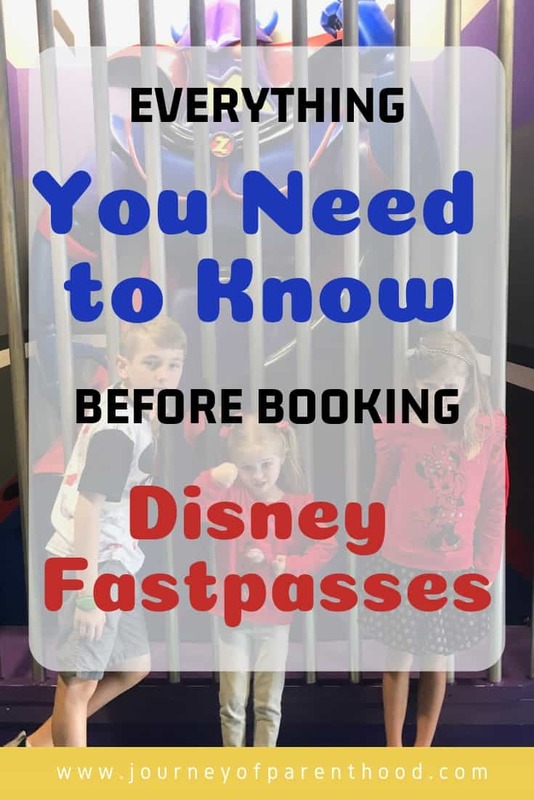 In this post I’m breaking down everything you need to know about Disney Fastpass Tips! How Does The Fastpass System Work at Disney? I’m not going to go into details about what the fastpass system used to be. Looking back on the past isn’t helpful. What you need is to know about how to utilize the fast pass system that is currently in place at Disney Parks. Yes, it used to be a paper system but now it’s all technology-based and that’s just part of life! Things change! 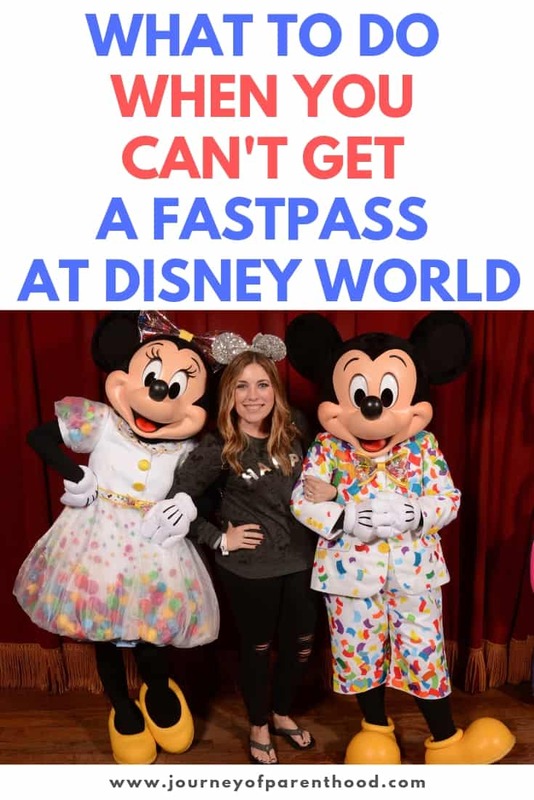 I also want to note that I’m specifically discussing Walt Disney World in this post – Disneyland in California has a completely different fastpass system than the Disney World parks in Florida. In short, a fastpass is a shortcut in line. Rides that offer a fastpass option have TWO lines. One line for standby (those who do not have a fastpass for the attraction) and another line specifically for people who have a fastpass for that attraction. Three fastpasses per person per day are allowed to be scheduled in advance. Different people within your party may have different fastpass experiences scheduled, but only one park per person per day is allowed. For example, you can’t schedule one fastpass for Magic Kingdom and then another for Epcot on the same day. If you are planning to park hop (visit two or more theme parks in one day) you will need to choose which park you want to have fastpasses for and plan your activities around those. When planning your Disney vacation you are able to book your fastpass experiences in advance. If you are staying on Walt Disney World Resort property then you can book your fastpasses at 60 days out from your check-in date – for your entire stay. Meaning if you are staying five days on Disney property you can schedule your fastpasses for your entire trip starting on the 60th day out from your arrival date. If you are not staying on property then you are able to schedule your fastpass experiences 30 days in advance and this must be done 30 days from the date of park attendance (meaning if you are staying off property and visiting the parks for five days you will have to schedule each day’s fastpasses on the 30 day marker from that date). Fastpass reservations become available at 7 am EST. They can be booked through your My Disney Experience account – either on the app or on the Disney website. It is important to note that you must have your park tickets purchased and assigned to each person in order to schedule fast passes for the members of your party. If you have multiple people in your party who each have their own My Disney Experience account – be sure to sync them together to allow one person to manage scheduling fastpasses, dining and other experiences. Once at the parks you can scan your magic band or park ticket at the attraction during the time frame of your fastpass experience and you will be allowed to enter through the designated fastpass line for that attraction, ride, or experience. The is an hour time window for each fastpass so you have plenty of time to be at the attraction without risking missing out on your fastpass! What Are The Best Tips for Making the Most of Disney’s New Fastpass+ System? The most valuable tip when it comes to booking fastpasses is to be on both your computer AND phone at 6:50 am EST on the day you can book your fastpasses. Know in advance exactly what attractions you are wanting to book, who is specifically experiencing each and know a rough time frame that you are wanting for each attraction so you can grab them as quickly as possible. Disney is amazing at MANY things but their website and app are just not reliable. Do not be surprised if either or both freeze up or send you to a “hiccup” screen. I have found by being on both my phone and computer right at the exact time for booking that usually at least one of the options work and I’m able to get my booking done! It is also crucial to take screenshots of your scheduled fastpasses once you have finalized your choices. Again, technology isn’t always reliable and I’ve often had issues with my fastpasses randomly disappearing from My Disney Experience plans. By having that screenshot you should be good to go with your plans, even if a glitch were to occur the system. It’s much easier to take a screenshot rather than have to call Disney and sit on hold and have someone help you through the process of finding all the fastpasses (which I’ve done before too!). Having the screenshot also makes it easier to insert your fastpass plans into your Touring Plans itinerary. This way the Touring Plan site can work your plans around the fastpasses you have selected. An added benefit of using Touring Plans to plan your day at Disney is that the plan will suggest fastpass experiences for you based on which day you are traveling, predicted crowd levels, and what experiences you are desiring to accomplish that day. I highly recommend coming up with your Touring Plans itinerary prior to your fastpass selection date so you can use their suggestions in deciding which attractions to book your fastpasses. It is also very, very important to have a basic understanding of each ride and experience along with the heights and desires of each member in your party. Many of the “hot ticket” fastpass items are rides that have a minimum height requirement. 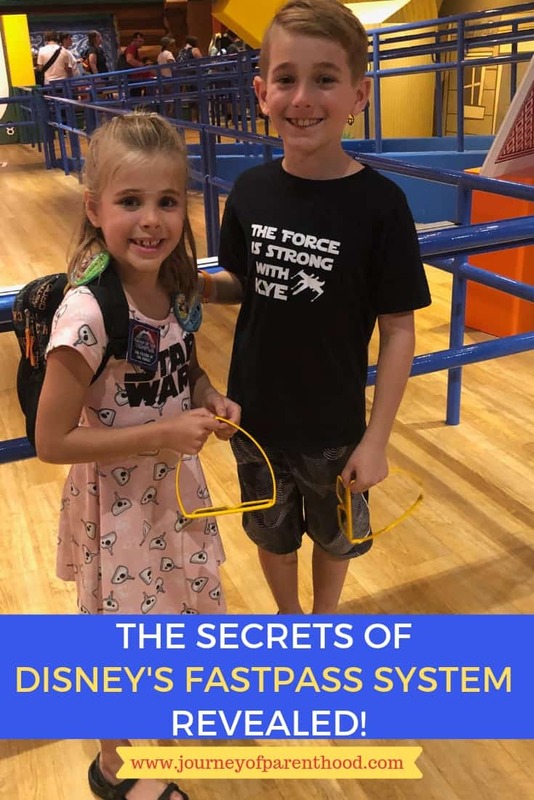 Obviously, if you are traveling with younger children, children who scare easily, or who may be too short for the attraction you don’t want to waste your fastpass on something they won’t want to or won’t be able to take part in. If is possible to split up and it’s wise to consider doing this when booking fastpasses. Personally, I don’t like thrill rides, but my husband and older children do. We will schedule fastpasses for a thrill ride for them and at the same time schedule fastpasses for a less-thrill attraction for myself and the younger kids during that same time period. By booking the separate fastpasses at the same time it allows us to stay on the same schedule and for the rest of our day to flow smoothly, experiencing as much of the parks together as possible. Every family is different and each person within a family will have different tastes and priorities regarding their time at the Disney parks. Some people focus heavily on thrill rides, other on characters experiences and shows, and others on the Disney classics. It’s very, very important to have multiple conversations with the members traveling in your party PRIOR to booking your fastpasses. The goal is for EVERYONE to have a magical trip and in order to do so, you want to make sure each person has the opportunity to enjoy the park the way they will best enjoy it! Look up rides on YouTube, read articles about the shows, consider Character Dining if characters are important. Think through your day at each of the parks and how to best meet the goals of each person in your group. I talk through our Disney plans with EACH member of my family. I’ve planned trips for a family of three – and have planned trips with a family of 15! Regardless of the number of people in our party I always ask each person for the ONE thing they want to do MOST and I do everything in my power to make sure each person gets to experience their most important thing during our trip. Fastpasses can really help achieve that special moment and valuable memory. Using them wisely means using them in ways that best benefit YOUR family for YOUR trip. Which means what fastpasses I find most important and valuable will look totally and completely different from what another family may find important and valuable. Many people will recommend booking all of your fastpasses for first thing in the morning. Once you use all three of your scheduled fastpasses you are then allowed to schedule one additional fastpass per person. This means you can start the day at Hollywood Studios. Schedule a fastpass at 9 am, 10 am and 11 am. Once you scan that 11 am fastpass you are then able to book ONE fastpass per person for ANY park. So you can schedule a fastpass at Animal Kingdom while in line for your 11 am fastpass at Hollywood Studios. You are then allowed to continue to book one fast pass at a time for the remainder of the day. This is a great strategy if you are having a more casual park experience. Now that we are passholders, this is something we do often. We book our three fastpasses for early in the day and then once we use them up we continue to book fastpasses that are available and work within our plans. However, this is NOT what I recommend doing for people who are not frequent visitors to the parks. Booking things on the go requires checking in with the app, understanding the layout of the parks, and doesn’t allow to truly enjoy the day as much as when everything is planned out in advance. I personally highly recommend focusing on booking just three fastpasses. My recommendation when planning a Disney trip is to FIRST make a plan using Touring Plans. THEN use their suggestions when deciding what fastpasses to schedule and try to book your fastpasses in the time windows that Touring Plans suggests. This way your entire day flows more smoothly and you have a solid plan of action. It takes the guesswork out of the day. You’re able to just follow the plan and have a SMOOTH sailing experience that allows everyone to know what’s happening when, where, and to just ENJOY it as it comes! When it comes to “cheating” the fastpass system, the only “cheat” I personally recommend doing is if someone in your party doesn’t like thrill rides but everyone else does and you have enough people in your party to divide them up. For example, at Magic Kingdom most of the non-thrill rides are easy to walk on first thing in the mornings. So we have scheduled my son and husband for three thrill rides on their account with their fastpasses. Then we have also scheduled three thrill rides for myself and my daughter. The fastpasses are linked to the ticket / magic band…not the person. There is no system that shows WHO actually HAS the fastpass. Just that the band or card being scanned has that fastpass linked to it. So my husband and son will use their fastpasses attached to their bands and then switch and take mine and my daughter’s bands and use our fastpasses too! This allows my husband and son to technically have SIX fastpasses. And it works nicely if members of the party prefer to watch shows or ride rides that have shorter wait times and don’t require a fastpass. We never stay on property so therefore we are often limited in booking the most popular fastpass experiences. Popular attractions like Flight of Passage or Slinky Dog will go within seconds of the 60 day window and are long gone by the time our 30 days in advance comes around. This is NOT an issue. And is NOT enough of a reason for us to justify the costs of staying on property. I still highly recommend staying OFF property and never have any issues riding anything we want to ride. Also, certain parks have a system for fastpass tiers. Meaning you are only allowed to book one attraction from the top tier and two from the bottom. This means you won’t be able to get a fastpass for three of the most popular attractions at that park and will need to implement other strategies to avoid a long line for the popular attractions that you want to ride. If the ride is a thrill type ride it most likely offers single rider line options. This is where each member of the party enters a separate line for single riders. You will not be able to sit together and each person in the single rider line must be age seven or older. But the single rider line moves MUCH quicker than the regular line – my son and husband do this often! Any attraction with a height restriction offers a rider swap option. This is great to use with fastpasses too and is a great hack to help make the most of your fastpass. Book the fastpass for one adult and the children who want to ride. Then enter the line with the child who is too short to ride and get the rider swap. The adult given the rider swap option does NOT need to have a fastpass for the attraction. This is a common fastpass hack and one that isn’t full proof but typically you’re able to get the rider swap for the non-riding adult even without them having the fastpass. No fastpass at all? The rider swap option allows for the first group to wait in the regular line but then the second group to enter through the fastpass line. So you aren’t having to wait in the same line twice. Since I don’t like thrill rides we will often get a rider swap for an experience and then just have my husband ride again with the kids – meaning they all get to ride twice! My NUMBER ONE tip when it comes to Disney World and the ability to ride popular attractions is to arrive at the park EARLY. I mean EARLY. Like rope drop? Not early enough! As in we arrive at the park an HOUR PRIOR to the park opening time. If the park opens at 9 AM? You will see our family at the turnstiles at 7:45 – 8 am waiting. This tactic pretty much guarantees that you can WALK ON to ANY experience. Flight of Passage? We always walk on. Slinky Dog? We always walk on. Speaking of Toy Story Land…if you don’t want to ride Slinky Dog then you can literally walk on Alien Swirling Saucers if you arrive early. You won’t even have to walk quickly in the masses of people. Literally, EVERYONE is heading to Slinky! Usually cast members open the park earlier than the official park opening time, especially when there is a hot ticket item ride. My kids and husband have been on and off of Fight of Passage before the park even officially opened. Arriving early is KEY. We never worry about booking fastpasses for the really popular attractions because we know we can just arrive early (bring some breakfast!) and ride whatever we want to during that time. And if you want to do something that isn’t THE hottest item of the moment? Even easier to walk on! When parks offer new attractions (Toy Story Land…Pandora…) everyone RUNS to those areas which means the rest of the park is usually DEAD. If you DO have a fastpass for the popular attraction or just don’t have any interest in riding it then you can get a TON done first thing in the morning with NO wait times! Arriving early is especially important when at parks that have the fast pass tiers as it’s truly impossible to schedule a fastpass for each attraction in the top tier. Grab the fastpass you can from the most popular attractions then just plan to arrive early at the park to ride one of the other top ones! The fastpass system isn’t perfect. Sometimes the lines in the fastpass line can still be long. Sometimes things go wrong. Sometimes you book a fastpass and don’t really need it. Sometimes a wait time is “supposed to be” short but ends up being longer. But overall, the fastpass system works well and is a GREAT tool in planning for a family Disney vacation. 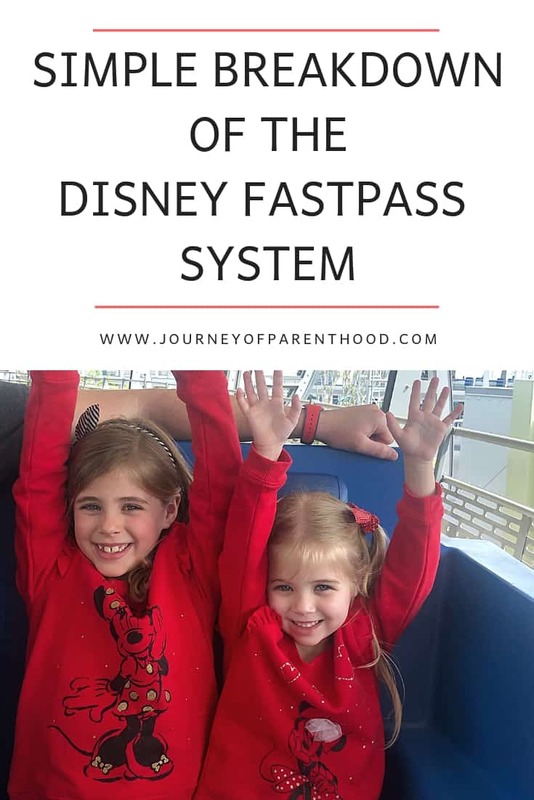 I hope these tips and tricks are helpful in planning your trip and make your fastpass reservations a little less stressful! Are You Planning a Trip to Walt Disney World? If you are looking at visiting Disney World then you should check out our Disney Rental House. It’s located 3 miles from the parks and has 6 bedrooms, 4.5 bathrooms, a heated pool and spa, as well as a game room. 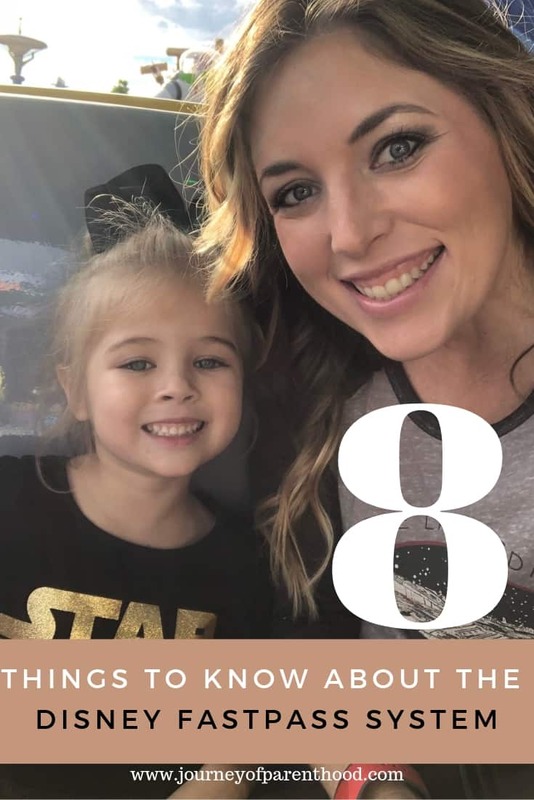 Located in the gated community of Emerald Island we have loved making memories in our home and want to help other families experience the magic that Disney has to offer. With that in mind, we offer a LARGE discount through the blog for booking our rental house – you can read all about it here! As mentioned earlier in this post Touring Plans is hands-down my favorite tool for planning ALL of my Disney trips. With their site, you can see predicted crowd levels and plan your day to avoid waiting in lines. You can learn more here! Planning a Disney trip can be SO overwhelming! Thankfully a friend of mine created an awesome 28 page printable Disney planning guide! You can see more about it and purchase it here.